Fresh off of JVC's 8K projectors announcement, Evans & Sutherland's newest laser projector, the ESLP 8K, not only displays a resolution of 8K in 2D, but also projects visuals in 3D as well. Different from other lamp-drive projectors, the ESLP 8K laser projector displays quality that is apparently sixteen times 1080p HD resolution, with a 200% wider color spectrum, smoother playback and a miniscule environmental footprint. 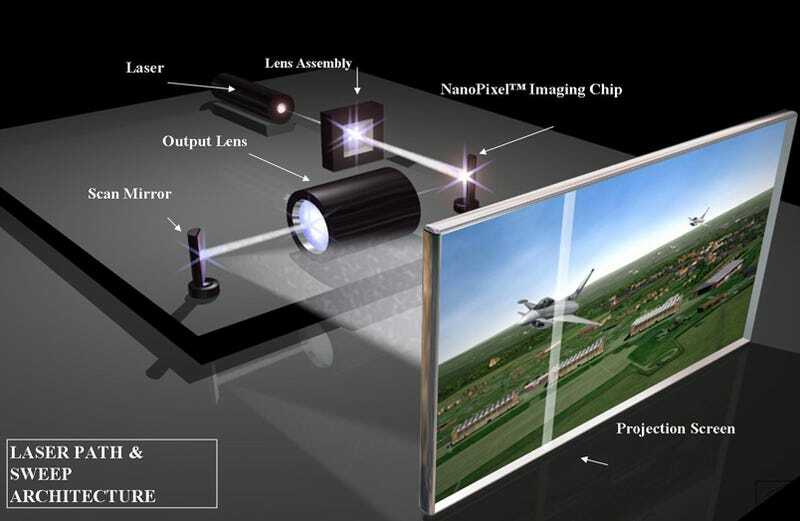 This laser projector is also the first one to display 3D content in 4K x 4K resolution, using only a single projector.